The 1956 World Series between the New York Yankees and the old Brooklyn Dodgers would go the full seven games, with the Yankees ultimately coming out on top. But the game that would forever stand out was Game 5. The series was tied, two games apiece, making the fifth game a pivotal tiebreak affair, which would give the winner a decided edge in the series. 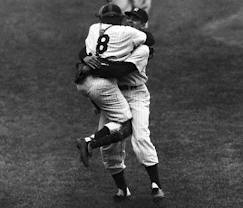 It was October 8, 1956, at the old Yankee Stadium. 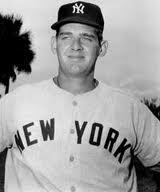 And the Yankees trotted out Don Larsen as their starting pitcher. All he did was pitch the first and, to this day, the only perfect game in World Series history. He faced twenty-seven batters, and each time, they failed to reach base. The performance was remarkable for a number of reasons. For one thing, the Dodgers fielded one of baseball’s most feared lineups. Their scorecard was full of famous names and future Hall of Famers, from Pee Wee Reese to Jackie Robinson to Duke Snider, Roy Campanella and Gil Hodges. The likelihood that anyone would throw a perfect game against that group seemed near-impossible. 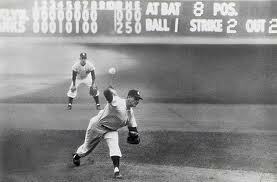 That it was Don Larsen who threw it? Larsen was the very definition of a journeyman pitcher. Look up “mediocre” in the dictionary, and you might just find a smiling Larsen looking back at you. He never topped 11 wins in a single season, and his career record of 81-91 won’t win him many prizes. But on that October day in 1956, he was unhittable. In The Eye-Dancers, the main characters all must come to terms with themselves, overcome something about themselves if they want to survive. One of the most tense moments in the book, in fact, is when Ryan Swinton confronts Joe Marma. Ryan has always been the follower, Joe the tough-guy leader. They’ve known each other their entire lives, and Joe has always been in charge. So when Ryan stands up to him in a difficult situation, late in the book, it has to come off as believable. It can’t come out of nowhere, a character deus ex machina just to help propel the plot forward. It has to be earnestly won, with foreshadowing and indications earlier in the story that Ryan has it in him to stand up to his take-charge but impulsive friend. And hopefully those signs are there, and his moment of truth comes off as genuine. Because if it comes off too much like Larsen’s perfect game, completely out-of-the-blue, then it won’t work. That kind of thing can’t happen in fantasy. I want to thank Sofia Siberia for nominating The Eye-Dancers site for a Reality Blog Award! Please check out Sofia’s great website–it’s just the kind of place you’ll want to get lost and spend some time in. I am very grateful for the award. Thanks so much, Sofia! There are five questions that go along with this award. So, let’s have at it! 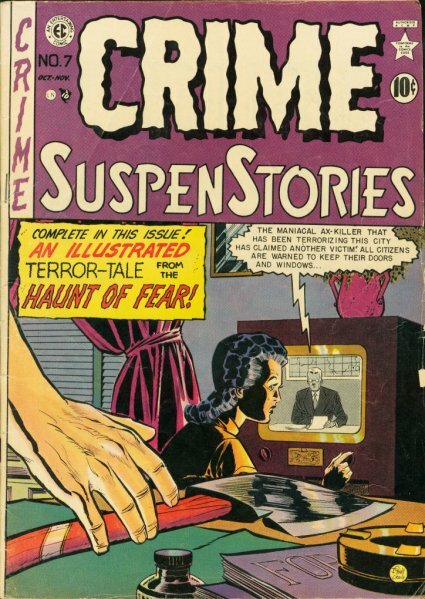 I would make certain episodes of The Twilight Zone required viewing, and part of the curriculum in public high schools. There is so much truth and meaning and imagination to be found and discussed in the best episodes of the series–they should be experienced, right alongside with the other classics in the curriculum. Well, I would say none. As nostalgic as I am, I want to look forward, not back. Remarkably, I have never had a cavity in my life. Not one. That’s the good news. The bad? 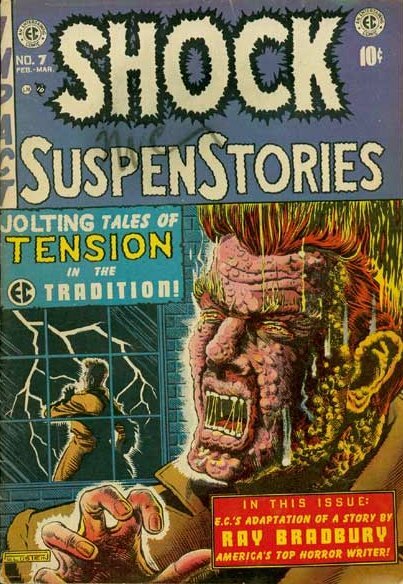 Because of that, I have a long-standing and deep-rooted fear of the dentist’s drill! 4) What is one dream you have not completed, and do you think you will be able to complete it? Turn The Eye-Dancers into a best seller, of course! I’m not sure I’ll ever complete it, but I hope people will want to read the book! I would like to be anyone who has ever played in front of a capacity crowd on Centre Court at Wimbledon and served an ace. The hush of the crowd beforehand. The perfect feeling of a well-struck tennis ball, the echo the sound makes on Centre Court. Watching the ball zip by your opponent, untouched, and then hearing the cheers from the crowd. What a feeling that would be . 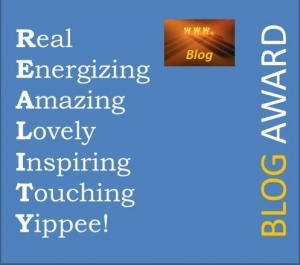 . .
Now, I would like to nominate the following blogs for the Reality Award. Please check them out and take a look around these wonderful websites! They are all rich and diverse sites, with so much to offer. Thanks again, Sofia, for the nomination! And thanks to everyone for reading! The Eye-Dancers deals with both dreams and parallel worlds, and in fact, brings the two together in very concrete ways. It also takes on the concept of what we term “reality,” and openly challenges it. Or at least it challenges the linear, narrow construct of it. I have often been a believer that reality is much more layered, much more complex, than we often think. And The Eye-Dancers is not the only story I’ve written that explores this idea. 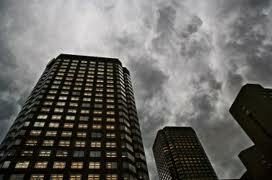 I wrote the short story “Falling . . .” just last year, shortly after finishing The Eye-Dancers. Clearly, parallel worlds were still on my mind! As were dreams. This story may hit just a little too close to home for Mitchell Brant, Joe Marma, Ryan Swinton, and Marc Kuslanski, after dealing with their own “otherworldly” adventure. But I hope the rest of you will read “Falling . . .” and I also hope you’ll enjoy it. . . .
Alex Tanner fell through the night. Below him, the city street grew nearer, nearer, the moment of impact mere seconds away. A car horn honked. At him? At another motorist? The wind slammed into him, his shirt ruffling and billowing like a sail adrift at sea. He closed his eyes, but then opened them, morbidly needing to look. The neon letters of the pizza parlor across the street flashed in the window. People were eating in there, calmly, unwinding after a long, tiring day. They were just sitting there, oblivious, while he fell. “No!” he shouted. “This can’t be happening.” The sound of his words rose, drifted, before dissolving into the warm, humid night air. An absurd thought came to him. Why was the pizza parlor even there? It wasn’t supposed to be. It should have been something else . . . He looked behind him. The high-rise where he lived was right there, almost close enough to touch. There had been noise—way too much noise. But why was he falling? Had he jumped, or tripped, or . . .? If he could just torque his body, twist in midflight, grab hold of a window ledge. It was no use. He didn’t have the coordination, the skill, to pull off such a stunt. And he was out of time . . .
A second before impact, he closed his eyes again, tensed his muscles. He heard someone shout, more horns honked. And then he screamed, until the moment he collided with the hard, unyielding asphalt. He felt something shaking him, jarring him. But how could that be? He had fallen so far and so fast. His body was a twisted, bloody ruin. He was dead. A light slap to the face, hands grabbing his wrists . . . and then, slowly, the image of a face materialized before him. He blinked several times, and the face came into focus. It was a beautiful face—his wife’s face. He was breathing rapidly, too rapidly, as though he might hyperventilate. Sweat beaded his forehead, drenched his shirt and the bedsheets. I’m dead, was the only thing he could think. I’m dead. I hit. I could feel it. His wife stopped shaking him, exhaled. She brushed a few rogue bangs away from her eyes. He wanted to say something reassuring, for her, for himself. But there were no words. He nodded. Except for the pizza parlor. Something about the pizza parlor . . . “Did I . . . kick again?” he asked. He swore under his breath. He’d managed to force the bed a good two feet to the left. What was the matter with him? Other than the fact that I keep falling to my death every night in my sleep, you mean? Was he sick? He had just gone for his physical last month—he hadn’t been examined in several years, so he figured he needed to get checked out, make sure everything was still in proper working order. The doctor told him he looked great. “If all my patients were as fit as you, I’d be looking for another job,” he’d said, and laughed. That had been reassuring, but maybe the doctor had missed something. Maybe . . .
Stop. Just quit it. Besides, even if there was some pernicious disease silently lurking, how would that explain the last three nights? How would anything? She leaned in to hold him, and the smell of her, the closeness of her, soothed his frayed nerves. He buried his head against her shoulder, trying to get lost in the softness of her long, black hair. “If I didn’t know better,” she said, “I’d think you were running around with someone else behind my back, and maybe your guilt is coming out in your sleep.” She pulled away, looked at him. Smiled. He smiled back. She did know better. That was why they could smile about it. He couldn’t argue with that. But he knew he wouldn’t be able to relax. He’d probably spend the rest of the night just lying there, staring up at the ceiling. Something was wrong. He tried to reason it out, think it through, tell himself it was nothing to concern himself with. 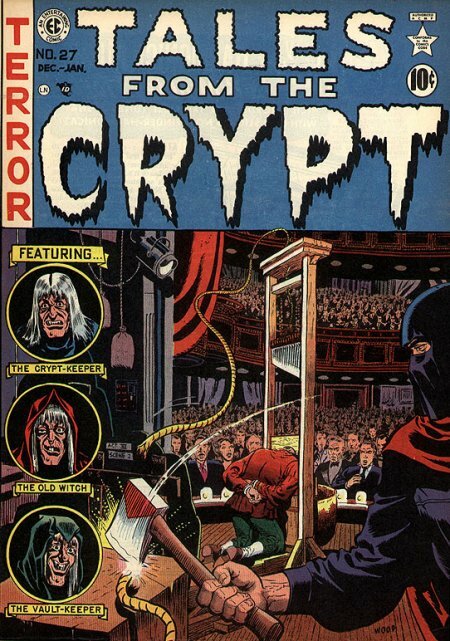 So he’d had a nightmare, plummeting to his death—three nights in a row. So what. That happened to people sometimes, didn’t it? A string of nightmares, for no good reason. Harmless. The dreams would pass. Perhaps. But he couldn’t shake the feeling he had. The sense of loss, as if he really had died—tonight, and last night, and the night before that. He’d had bad dreams before. But they had never been like this. She gave a half-smile. She looked nervous, uneasy. He hated seeing that. He had made her feel that way—him and his kicking and his screaming and his dreams of death and falling. She asked him if he would help her push the bed back in place. Once that was accomplished, she went to flick off the light. “I . . .” But what could he say? That he wanted to look at her, at the swarthy, olive complexion of her skin that he’d always admired? Hoping her beauty could distract him enough, and help him to forget? “So, what’s up?” Eckert wanted to know. Alex sat across from him. They were in a small diner downtown, away from the office, and, hopefully, from interruptions. Eckert wasn’t a close friend—just someone Alex got together with on occasion. 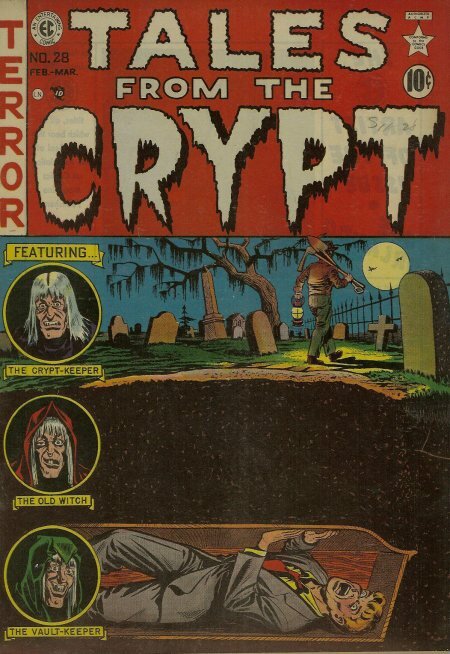 But considering his fascination with dreams, the paranormal, and the “multiple layers of reality,” as he put it, Eckert was the only person he could think of who might have some answers to what was going on. He’d sent Eckert an email as soon as he arrived at the office—“Doing anything for lunch later? Need to talk about something.” Eckert had responded immediately, suggesting the diner. But now, sitting at a corner table, looking out the window at the congestion of downtown traffic, Alex wasn’t sure where to begin. He’d done some research online. The most interesting item he discovered was something called Periodic Limb Movement Disorder, a condition some people suffered while sleeping, characterized by violent kicking and thrashing episodes. But he didn’t think that really fit. He didn’t have a limb disorder. He fell to his death while he slept. What did they call that? Other than insane. Eckert prodded again, urging him to speak up, while at the same time ogling the redheaded waitress who rushed about from table to table like a waterbug. Alex took a deep breath, and told him about his dreams, or his memories, or whatever they were. “Well, it’s good you sent me that email,” Eckert said, just as the waitress arrived at their table. Eckert had ordered two egg salad sandwiches and a side order of fries. Alex just wanted a garden salad—his stomach wasn’t up for anything hearty. But I did die. I did. In his mind’s eye, he could see the street as he fell, ready to collide, and then he felt nauseous when he recalled the moment of impact, his body slamming into the asphalt. Eckert nodded back, stuffed three fries in his mouth. Alex just stared back at him, not comprehending. Eckert finished the first of his sandwiches. On the sidewalk outside, someone yelled, then laughed. That’s what Alex felt like doing. Well, of course they had. Didn’t they happen to everyone, at one time or another? “I don’t see what that has to do with my dreams,” Alex said. “How is everything?” the waitress said. 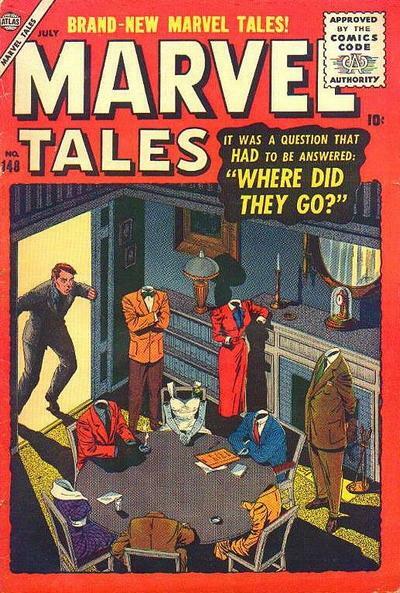 She had zipped over to their table so fast, Alex hadn’t even noticed. “Delicious!” Eckert said, and winked. The waitress smiled, but rolled her eyes, and walked away. He’d already known Eckert was a believer in parallel worlds. But he didn’t see the connection. Relevant? What was that supposed to mean? “What? That I’m gonna go skydiving here, too? C’mon, Eckert, get real.” But then, wasn’t his heart beating a little faster now? Wasn’t that fear he felt? That’s when it occurred to him. The pizza parlor—that was why it felt out of place. The night before, it had been a Chinese restaurant, the night before that a barbershop. But the conclusions Eckert were drawing—that he had seen himself die in three separate universes, on three consecutive nights—couldn’t be true. 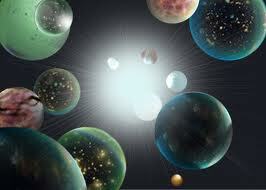 He didn’t even really believe in this parallel worlds gibberish to begin with. He couldn’t eat that evening. He just pushed his food around the plate. He considered telling her what Eckert had said that afternoon at the diner, but thought the better of it. It was all a bunch of nonsense. Then why can’t you stop thinking about it? “Sorry, honey, I guess I’m just not hungry,” he said. She frowned, her black hair matching the dark shadows and concern in her eyes. He smiled back. It was good to smile, even if he didn’t mean it. The noise was intolerable. How was anyone supposed to sleep? He sat up in bed. Beside him, his wife stirred. “What are they doing down there?” No doubt the people who lived directly below them. They sometimes hosted loud, wild parties. But never like this. The yells and laughter, the music and conversation sounded much too close—they must have been outside, on the balcony. He stormed to his feet. He wasn’t going to put up with it. He didn’t answer. He just headed for their own balcony. All of the stress and strain of the last few days boiled over, heating his blood, scalding his nerves. When he opened the French doors, the doors his wife had fallen in love with when they had first seen this place four years earlier, he stepped outside. 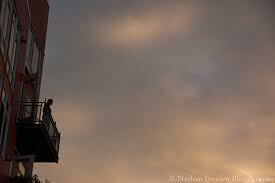 The noise rising up from the balcony below was cacophonous, an erupting volcano in his ears. He rushed headlong for the railing, eager to tell the people to shut up, go inside the apartment at least, didn’t they have any consideration? That was when he tripped over something—what? He didn’t have a chance to look. He lost his balance, falling toward the railing, over the railing . . . It happened so fast. One second he was on solid ground, the next, the force of his momentum had thrust him out into the night. He heard a scream above him. His wife, no doubt. Below him car horns honked, the city lights flickered, the dark surface of the street grew closer, closer. He thought of Eckert’s warning. Why didn’t I listen? Why wasn’t I more careful? He felt hands shaking him, and then a face appeared before him. A beautiful face—his wife’s face. He felt his forehead. It was soaked with sweat. A dream, just a dream. But it had felt so real. He looked at her, and she came to him, hugged him. He nestled his head on her shoulder, porcelain-white—he’d always admired the fair complexion of her skin—wanting so much to lose himself in her softness, her fragrance, her nearness. In the luxurious golden fall of her light-blonde hair. These are exciting days in The Eye-Dancers universe (or, considering the locales in the story, maybe I should say multiverse)! The Eye-Dancers has been available for purchase for a couple of months, and a sequel is now in the works. I plan to begin writing it within the next week or two, and am looking forward to delving back in to the characters’ worlds, and starting a new adventure. A couple of months ago, I created the Eye-Dancers Facebook page. But, quite honestly, other than writing a few announcement-style posts early on, that site has remained mostly dormant. I’d like that to change, and would love to hear your thoughts. What kinds of things do you like to see on a Facebook fan page? My aim is for the Eye-Dancer Facebook page to be its own unique place–a fun and interactive site, worthy to be “Liked”! Thanks to everyone who has visited and Liked the page so far! And thanks for your patience over these past few weeks while the site has just kind of sat there, without being updated with fresh content. It’s time to change that. And your feedback would be most appreciated. It’s interesting to think of the “old days” before the Internet and the ability to interact so readily with so many people. 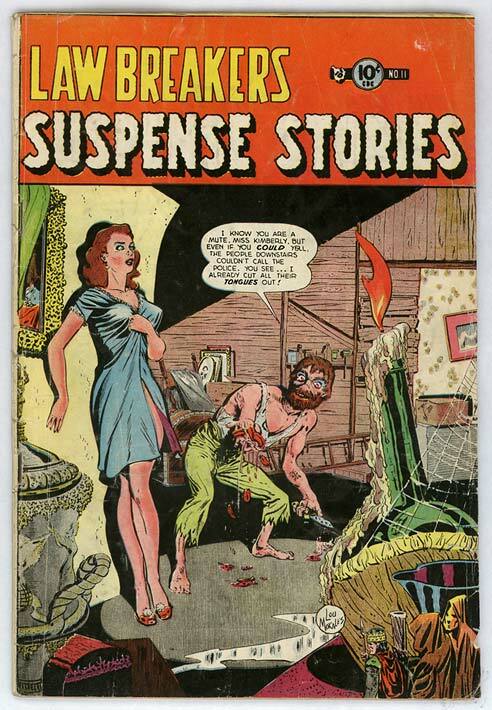 Back then, as an author, you could receive postal mail and hear from readers that way (assuming you even had a wide enough audience for this to happen). But by and large, you existed in something of a bubble. You wrote what you wrote, hoped people would enjoy it, but rarely received very much feedback from readers, and then you moved on to your next project. Whereas in 2013, we can all exchange ideas, give each other feedback, and carry on engaging conversations. It’s a new world, really, and an exciting one. I’m grateful to be a part of it, and as always I thank you so much for reading! 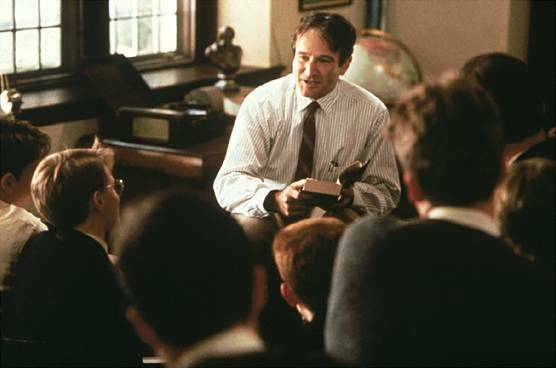 In the 1989 movie Dead Poets Society, John Keating, the English teacher played by Robin Williams, has one of his students read aloud from the Introduction to their poetry textbook. The author of the Introduction, a Dr. J. Evans Pritchard, provides, in dry detail, the method by which we should measure and grade poetry. As the student reads, Keating begins illustrating these concepts on the blackboard, depicting a bar graph. This Introduction, in other words, is attempting to break poetry down, almost as if it were a mathematical equation. And then, in one of the film’s most memorable scenes, he tells his class to rip out the Introduction from their poetry textbooks. They pause, wondering if he’s serious. He assures them he is. Then, one by one, the class rips out the pages, discarding the views of Mr. J. Evans Pritchard. “Words and ideas can change the world!” Keating thunders a moment later. He is appalled that anyone would try to measure poetry in a methodical, systematic way. He exclaims such an endeavor rips the life out of the words, turns the beautiful into something mundane, something to be dissected and probed, and poked. Surely, an intuitive, creative soul like Mitchell Brant would agree with Mr. Keating. And so would the impulsive Joe Marma, who prefers to act first and think and plan second. Marc Kuslanski, on the other hand, logic-driven to the core, would probably side with J. Evans Pritchard. How do we measure great poetry, or great writing, in general? Furthermore, when we have an idea, a situation, a character we simply must write about–how do we know when we’re ready? Take a novel, for instance. When do you begin page 1? After you’ve come up with a protagonist, and perhaps a villain, and a situation to put said protagonist in? What if you have a distinct image in mind? Long before I wrote The Eye-Dancers, I had a dream about the “ghost girl” who appears in chapter one, and throughout the novel. In my dream, I experienced what Mitchell does in that first chapter. Seeing this wraith-like girl with the blue, blue eyes, calling, beckoning, like an apparition. That was over twenty years ago. When I woke from that dream, I wanted desperately to write a story around it. But I didn’t have one. I just had that image, that opening scene, if you will. What to do with it? Where to go? 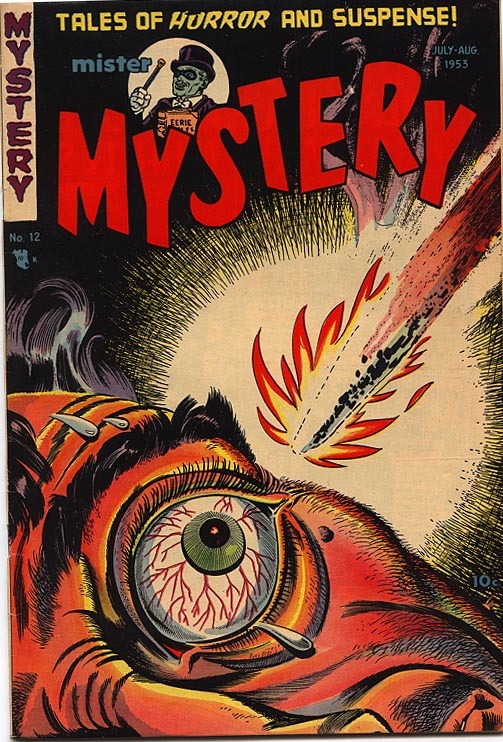 It wasn’t until nearly two decades later, when I had the same dream, a second time, and then woke up with a workable idea in place, that I actually began writing The Eye-Dancers. I wonder what John Keating in Dead Poets Society would say about that. Perhaps he’d say I am too analytical, need too much to be “in place” before I begin. I know that’s what Stephen King would probably say. In his memoir, On Writing, King says, straight out, “Plot is . . . the good writer’s last resort and the dullard’s first choice. The story which results from it is apt to feel artificial and labored.” King explains that he begins with a situation first, and then the characters, and then he begins to narrate. While he has an outcome in mind, he’s not locked in to it. His characters, he says, often do and say things he never expects. For me, I believe the answer lies somewhere in the middle–“the golden mean.” For some writers (and who am I to argue with Stephen King? ), just having a situation and some characters in mind is enough. Without much of a plot yet, they can steam forward and begin. I need more. Before I begin a long work, like a novel, I need to have some idea where I want to go, how the book will likely end (at least in a general way), and I often have a broad story line in place. I don’t do chapter-by-chapter outlines, since I find those too constricting, and, as King points out, characters often do the oddest things. You may think something will turn out some way, and then it turns out another way. Some flexibility is necessary, or else you’ll stifle the creative process. But to begin without a fairly concrete direction already in place? Without at least some measure of a plot in place? That is something I can’t seem to do. Certainly, there is no “right” or “wrong” answer here. It really is a case of, “Whatever works for you”–as long as, throughout the process, the magic of spontaneous creativity is not stifled or ignored. So for some, diving right in, without much information to go on, will work great. Call this the Mitchell Brant or Joe Marma approach. For others, in-depth planning is essential–the Marc Kuslanski Theory of Storytelling. For me, it’s a combination of the two. And if opposites like Joe Marma and Marc Kuslanski can learn to tolerate each other (albeit barely!) in The Eye-Dancers, then, hopefully, I’m on the right path. To begin this post, I just want to say that I honestly had no idea what to expect when I began The Eye-Dancers blog late last summer. It was definitely new territory for me. But it has been a genuinely wonderful and rewarding experience. I’ve really been enjoying writing posts and especially hearing from my fellow bloggers. Thanks to everyone who’s been reading and following this blog. If it weren’t for all of your great comments and feedback, I probably wouldn’t even be here at this point. But as it is, and thanks to you, it’s certainly my hope that The Eye-Dancers site is only just beginning. I want to thank Jennifer Paetsch for nominating me for Blog of the Year–2012. This is my second star for the award. Thanks, Jennifer! I encourage everyone to visit Jennifer’s site and to give her new novel, Ghost of Doors, a try. I have read it, and it’s a wonderful read. She is a talented wordsmith; her prose has a unique and even lyrical quality to it, and I cannot recommend her novel highly enough. I would like to nominate the following blogs for the Blog of the Year~2012 award. They are all fantastic sites, and very diverse sites, with loads of great material. Please pay these blogs a visit and dig in–there is a virtual banquet of delectable morsels, photos, poetry, and so much more to be found. These are the kinds of places where it’s easy and enjoyable to spend a few minutes, or hours. And I hope you do just that . . . Thanks so much again to everyone for your support, comments, and feedback. Let’s make 2013 the best year yet.